We are now well into the AFL and Netball seasons and are seeing the usual spike in anterior cruciate ligament (ACL) injuries. This article tells you what you can do to prevent an ACL injury, how we diagnose ACL injuries, and what are latest developments in ACL reconstruction. How do I avoid rupturing my ACL? 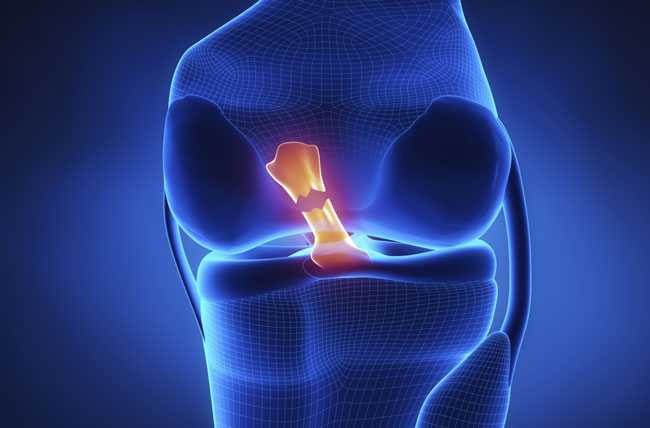 It was once thought that there was nothing you could do to prevent rupturing your ACL. This is not the case. We now know that improving your strength, skill and coordination, prior to playing competitive sport, can reduce your chance of ACL injury and thus needing an ACL reconstruction. Most coaches are aware of this and preseason training is aimed at improving your strength, flexibility, stamina, agility and balance. The FIFA 11 + program is one such set of warm-up exercises specifically designed for soccer but easily applicable to our football and netball players. How do ACL injuries occur? Most ACL injuries are non-contact and involve either twisting or hyperextending the knee. Often, there is a loud “crack” or “pop” and most players know they have suffered a major injury. The knee is swollen and you cant walk let alone play-on. How do I know if I have damaged my ACL? A history of a crack or pop with a very painful and swollen knee makes me highly suspicious of a ruptured ACL. 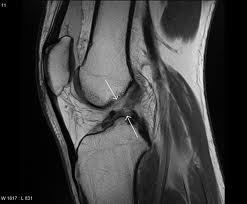 Once I examine your knee, the diagnosis is usually confirmed. An MRI scan is not necessary in everyone but will usually put the diagnosis beyond doubt. Sounds like I have injured my ACL, what next? Treatment on the first day involves rest, ice, elevation and getting an urgent appointment. 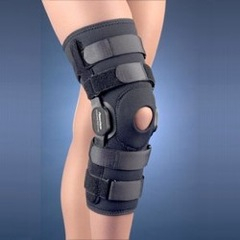 Callor email the office and we will always see badly injured knees within 2-3 days of the injury. My ACL injured patients are generally very keen to get back into twisting, turning activities without risking further damage to their knees. To do this, you need an ACL reconstruction. What is the latest and greatest way to fix my ACL? In the last 10-years there have many new developments in ACL reconstruction. The operation is now exclusively done via the telescope, using mini incisions. A brace or plaster is not needed and most patients are off crutches by 1 week following the operation. Patients only spend 1 night in hospital and we begin rehab day 1 post operatively. There has been much talk about artificial ligaments and their possible advantages. In some people they have been successful, but the results are still disappointing when compared to hamstring and patella tendon grafts. I believe the best graft for an ACL reconstruction is still your own tissue. In summary, ACL injuries can be a devastating, season ending injury. With the latest techniques in ACL reconstruction they can be fixed, allowing patients to return to the activities they love. For more information, contact us on (08) 9322 1900 or submit an enquiry form. If you are a GP or physician you can refer a patient to us here. Find out more information on fees, hospital admission and making an appointment. If you cannot find what you’re looking for, our Frequently Asked Questions pages may have the answer. Copyright � 2016 Dr. Benjamin Hewitt. Website by BeMedia.